Children appreciate the autonomy that comes with having money; however, it can be difficult to find ways to earn it. Craft projects are a way for children to use creative skill to design a product. Children can use simple, inexpensive materials to create items that they can sell at school, church or local craft fairs to earn extra money. When deciding how much to charge for their crafts, children should take into account the cost of the materials used to make the crafts and the time spent creating them. Children could use items around the house to create necklaces they can sell to peers. They can use items such as candy, plastic wrap and ribbon to create a candy necklace or bracelet most any child would want to buy, wear and eat. Children simply lay candies 1 inch apart on a strip of plastic wrap, then roll the candies up and tie lengths of ribbon at the ends and between candies to secure them. 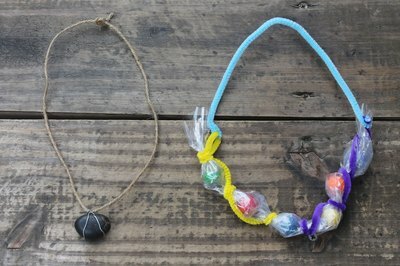 Children can also use stones found outdoors, wire and leather cord to create a trendy stone necklace to sell. To complete this project, kids wrap thin wire around a small stone, twisting the ends closed at the top and making a loop. Then they thread the wire-wrapped stone pendant on a leather cord and knot the ends. Many children paint and draw pictures for loved ones. 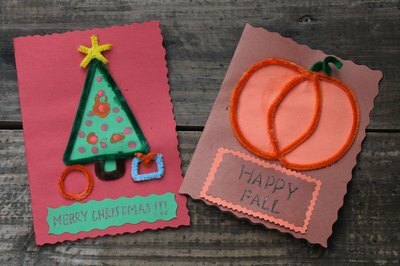 Your child can use this hobby to earn money by creating handmade cards. Handmade cards are an inexpensive and simple craft to create. Paint, construction paper, glue and materials such as cotton balls and yarn can be used to create holiday cards complete with pictures of Santa or turkeys. Your child can use a heart stencil, pink or red construction paper and markers to create Valentine's Day cards that he can sell to other children or adults. Your child's handmade cards would probably sell best around holidays. 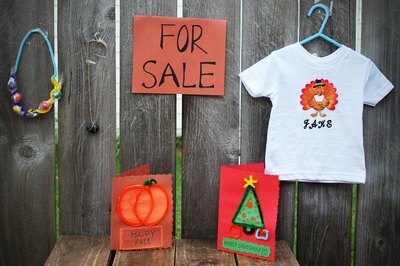 Some cheap blank shirts, fabric paint and stencils allow your child to create one-of-a-kind shirts to sell. Your child can use a bleach pen against a colored shirt to print a slogan or drawing onto the shirt, or he can use fabric paint and a brush to freehand a phrase or drawing onto a shirt or do the same using stencils. 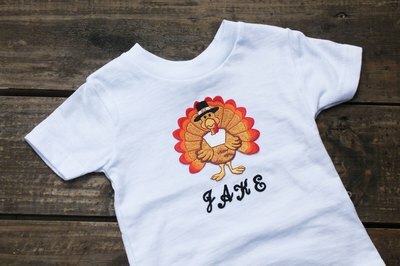 To add an extra element to draw sales, your child could allow purchasers to customize shirt designs.